The best gift you can give your child is the gift of the outdoors. Trekking with family teaches kids early lessons on how to love nature, enjoy a trek, and respect the rules of the wild. This ensures that they’ll be equipped for almost anything later in life. Treks for families teach kids not to take for granted the comforts of their home, to adjust to inconvenience, and to rough it. Here are some of the top options for treks for families. The gorgeous Valley of Flowers in Uttarakhand is a perfect option for family treks. You’ll be walking along easy paths, and will have a taste of river-crossing and a slightly steep incline at Hemkund Sahib, but you’ll also get to explore waterfalls, glaciers, towering mountains, mighty rivers and quaint villages, while trekking with family. This beautiful valley is located in the Nanda Devi National Park, and is best visited in July and August as the flowers are in full bloom during this time. The unique itinerary for this trip allows you to spend more time in the ethereal Valley of Flowers - a world heritage site, than during the usual treks. Participants trek through the valley, up to beautiful vantage points and higher reaches, and on to Badrinath Temple and Hemkund Sahib. The Nagtibba trek is one of the top options for trekking for families, because it takes you to the top of Nagtibba at 10,000 feet, but has an easy trail. You’ll trek through forests of oak with orchids dotting the trail. Goats and woolly sheep graze on the slopes around you, and you’ll see high Himalayan peaks like the Bandarpoonch peak. At night, you’ll camp in open meadows under clear starry skies, amidst wild mint and fragrant shrubs. The summer and winter months are the best time to attempt the Nagtibba trek. 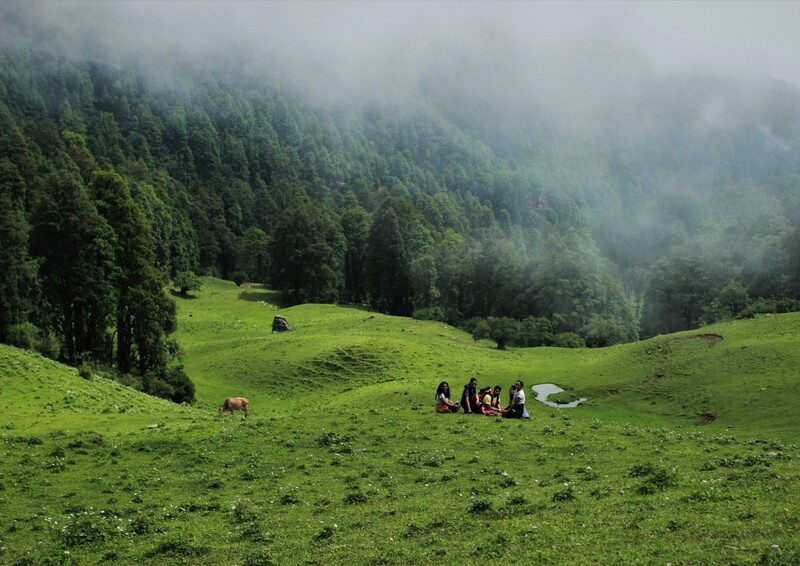 The Dayara Bugyal trek is considered to be one of the most beautiful options for treks for families, because of the fairy tale landscape. This family trek gives children a chance to romp over India’s most beautiful high-altitude meadows, walk through pine forests, and gaze up at towering Himalayan peaks. At night, they’ll camp in scenic locations in tents. The trek is recommended for everyone i.e families with children, nature lovers and adventurers alike. Chopta is a quaint hill station in the Kedarnath wildlife sanctuary and is a gorgeous option for a family trek. It is popularly known as the 'Mini Switzerland’ of India, thanks to its rolling green hills and lush meadows. It’s a top choice for trekking with family. The climb is moderately easy, but poses a fun challenge when it comes to Chandrashila peak. The peak is a summit of 13,123 feet and is home to Tungnath, the highest Shiva temple in the world. This is a top option for trekking with family, because it is easy, and starts from close to Manali. Kids will have a chance to trek past glaciers, up lushly forested slopes, passing the tree line, jump over streams, and trek up into meadows where shepherds bring their flock to graze on the sweet grass. The emerald-green Beaskund lake is the highlight for those trekking with families, and it is great for taking postcard-perfect photographs. All this is accompanied by views of surrounding peaks such as Shitidhar and Friendship Peak in the Kullu region. 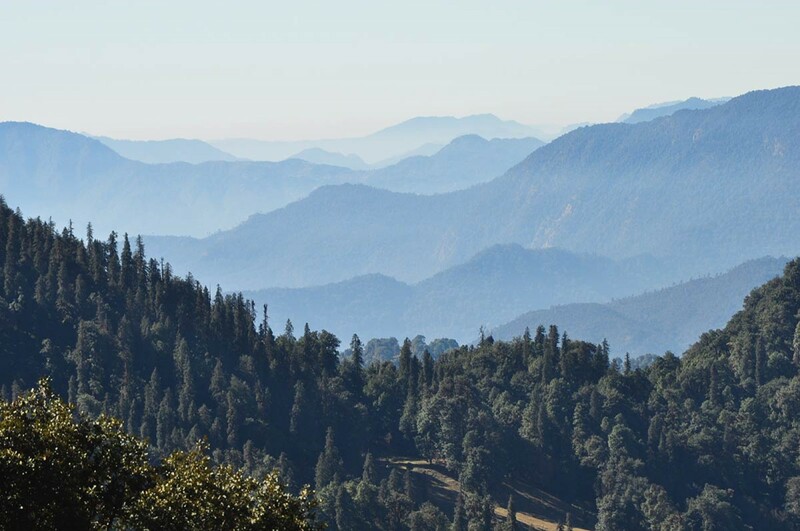 Located about ten kilometres from the bustling city centre of McLeodganj, this trek in Kangra Valley is an easy but gorgeous adventure and is one of the top options for a family trek. There are rocks to scramble over, peaks swathed in mist, and cold air all around. Trekkers visit sacred mountains, ancient temples and quaint 'pahadi' villages hidden in valleys, waiting to be explored. While trekking with family here gives you breath-taking, 180-degree views of some of the most famous peaks in India, it’s only a four hour trail, and will take you up to a campsite in the mountains. The views from here are a good enough reason to stay for the night. If you’re trekking with family, this is one of the top Himalayan treks for beginners in Himachal Pradesh. Himachal Pradesh has some of the best options for family treks, and the Bhrigu Lake is one of the most scenic treks in the region. This 3 day trek is perfect for first-time trekkers and for trekking with family. You’ll trek up to the pristine Bhrigu Lake located at an elevation of 14,100 feet, through apple orchards and dense forests of deodar and pine trees. Apart from soaking up the views from Bhrigu Lake, you’ll also be able to take a dip in the hot sulphur springs at Vashisht on your way back. Korigad fort is a beautiful fort close to Lonavala, and is a great option for trekking with family. It is an easy 6 km trek, with stone-cut steps leading up for the most part. The top of the fort has a large, flat plateau, with most structures completely intact. Trekking with family here lets kids explore the ramparts of the fort, see ancient cannons, splash in the fresh water ponds, and enjoy a rainy day in the Western Ghats. Trekking with family in Maharashtra has a few options that are safe and suitable, and this is one of them. Korigad fort is a great trek for beginners or those looking to get their muscles in working order for the trekking season. It is an easy 6 km trek, with stone-cut steps leading up for the most part. It takes about 3 hours, but you'll definitely want to spend some time at the top. Korigad fort has a large, flat top, with the ramparts completely intact. That means you can explore the edges of the undulating fort summit, take great pictures from vantage points all around, and get a closer look at the sturdy construction of the walls. You'll also find ancient cannons, and a fairly large pool in which you can take a dip. All expenses incurred due to unforeseen and unavoidable circumstances like roadblocks, bad weather etc. Trekking with family to Dudhsagar Waterfall takes you across state lines, from Maharashtra to the border of Karnataka and Goa. The children will love the overnight train journey, and will trek through the tropical forest of Kulem, surrounded by trees and wildlife, until they reach the waterfall. En route, this family trek takes you across streams, makes you scramble over slippery stones, and walk along railway tracks and dark train tunnels to get to the waterfall. This four-tiered waterfall cascades down from a height of over 1000 feet, sending a spray of mist in all directions and churning the water below to milky white, hence the name Dudhsagar, meaning 'sea of milk'. Another popular location for monsoon trekking with family in Maharashtra is Lohagad Fort, situated near Lonavala. The experience is magical, with rain clouds descending on the mountains and enveloping them in the mist, and the children will love it. One of the numerous reasons why Lohagad is a popular choice for trekking with family is also because of the main attraction of Vinchu Kata, which resembles the tail of a scorpion. This trek offers some of the most spectacular views from here. Lohagad in its literal sense means ‘Iron Fort’. It is one of the best and easiest one-day treks throughout the year. However, the monsoon transforms this area into a green wonderland, full of burbling streams and waterfalls. Trekking here is a unforgettable experience, especially with the slippery rocky areas posing a fun challenge. IMPORTANT: The trip also offers participants a delicious vegetarian breakfast. Lohagad is now protected under the Archeology Survey of India. Trekkers cannot camp here for the night as the entry doors are shut at 17:00 hrs, so do plan an early start.